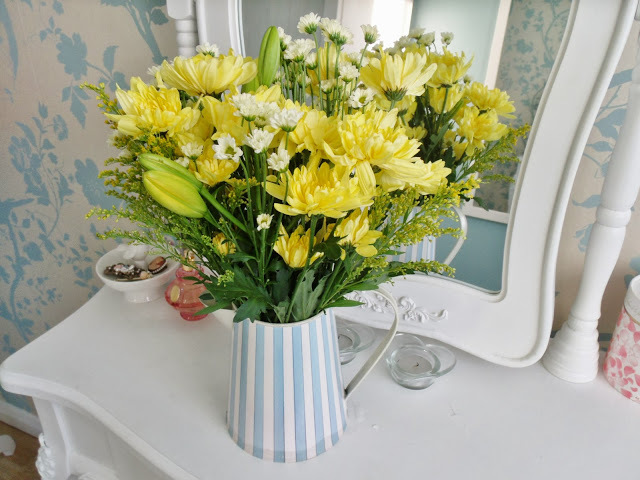 Who would ever have thought you would be able to successfully put a bouquet of flowers through someones letterbox?! Well, new company Bloom & Wild have come up with this brilliant concept, and I’m a lucky recipient who got to try them out! 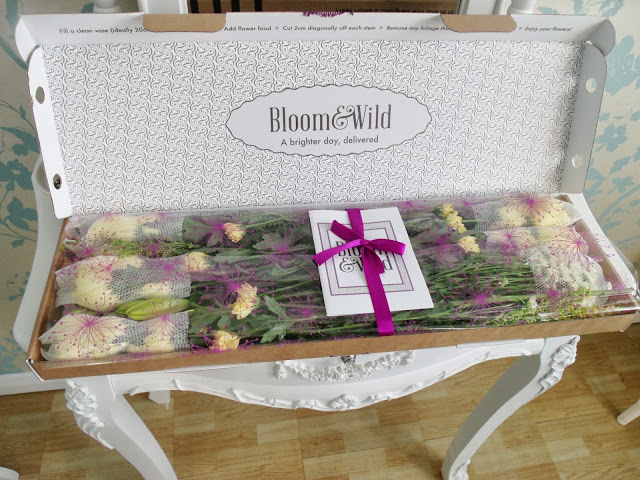 Bloom & Wild offer either a subscription service, or a one off gift delivery. The subscription services allows you to receive a weekly/fortnightly/or monthly delivery of surprise flowers, which are specially selected and in season. 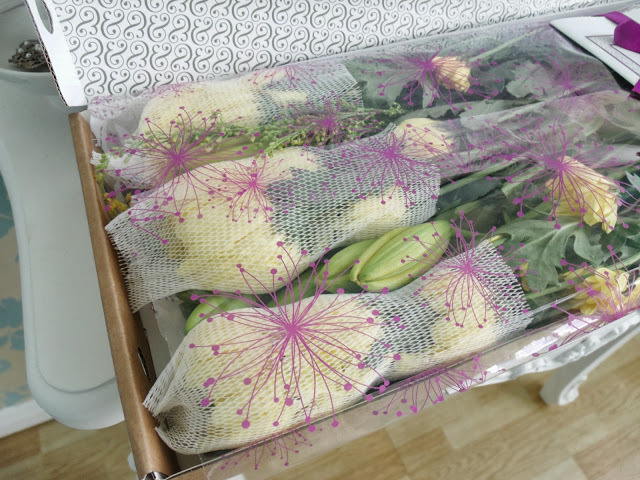 The flowers are packed into bespoke boxes that are designed to fit through your letterbox, and are sent first class so that they usually arrive the next day. I thought that when they were delivered they would be rather dead and droopy in a squashed cardboard box. But no.. these arrived in absolutely perfect condition! The flowers were packaged so that they were fully protected, and the flower heads even had protective packaging on them. Bloom & Wild also pride themselves on the fact that their flowers last longer than other online florists or supermarkets (more than ten days), as they cut out the middleman. The flowers I received were made up of asiatic yellow lilies, zembla chrysanthemum, cream saniti madibar and solidago. The lilies aren’t opened up in these photos, but once they were in some water they bloomed beautifully! 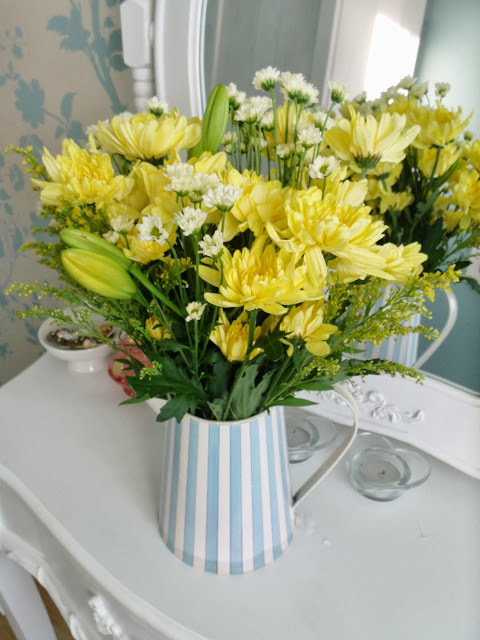 They are a really bold and vibrant selection of flowers, and they’ve certainly brightened up my dressing room! Another thing that really impressed me was how many flowers arrived. I have actually managed to fill two vases as there were so many! They’re great value for money in my opinion, subscriptions start from only £13.95! Overall I’m thrilled with my flowers, and I think the whole concept of letterbox deliveries, as well as a subscription service, is wonderful. 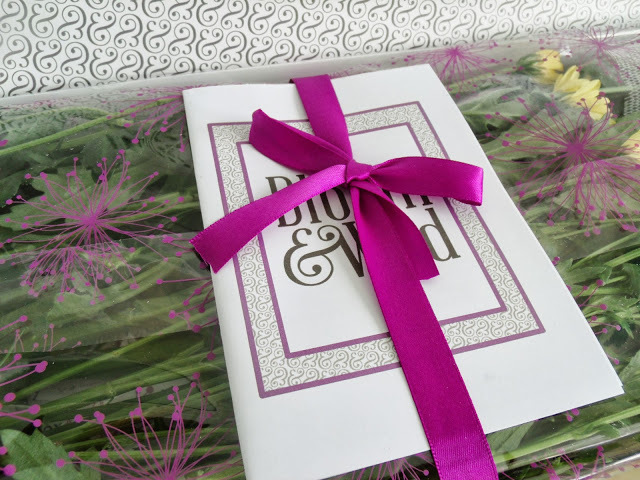 I think any lucky lady would be thrilled to receive a subscription to Bloom & Wild.. it would make a perfect gift! Thank you Bloom & Wild for my lovely flowers! And finally.. you can enter for your chance to win your very own Bloom & Wild bouquet by simply tweeting this tweet! Make sure you include the hashtag for your entry to count! Competition closes at 6pm Sunday 29th September. They are lovely! It has been a long time since I had any flowers. The ones you got are so cheerful! This is a fab idea, So pretty! Love your blog! Wow amazing give away 🙂 sounds amazing! Definitely new idea for gifts. I don't have twitter so I will just have to buy them next time there is an occasion 🙂 thank you for letting everyone know about this Victoria. I love this idea! 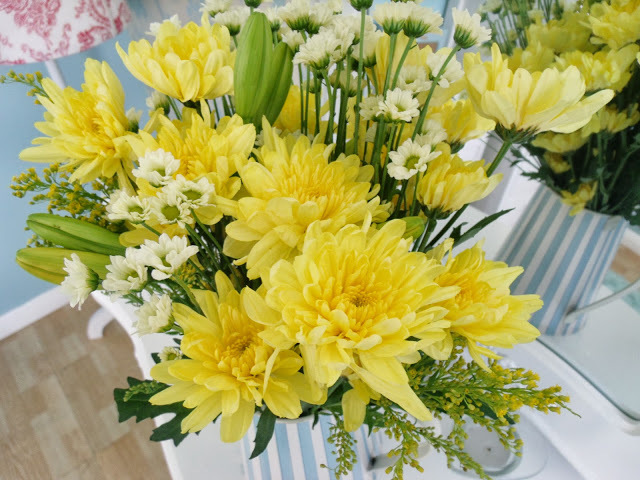 I blogged about an Afternoon Tea (tea and cake) that is delivered through a letterbox … and now we have flowers for the tea table that can be delivered through a letterbox as well! How amazing is that! Oh my! Those flowers are really lovely. They are so gorgeous. And I love the idea that it is put in a box when delivered. It only ensures that the flowers would arrive to its recipient fresh and in bloom.